When is it Time to Kill Mold in the Air? It is time to kill mold in the air all the time. When you breathe in, you do not think about the fact that you are breathing in mold, bacteria, germs, viruses, etc… You also don’t tell yourself that you need to kill mold in the air or else. Some facts to consider. Babies/Small children have delicate lungs requiring fresh air. Mold can cause asthma & trigger asthma attacks. Clean mold off surfaces & in the air. Blueair 250E Air PurifiersBlueair 250 air purifiers are for small rooms up to 166 sq. ft., HEPA Silent technology, digital display, and remote control – for small bedroom or office use. Not only do you need to clean mold on surfaces, you need to clean mold in the air. If you have mold in the basement, as soon as you open the basement door you introduce basement mold and to the rest of your house. Since mold spores are invisible you cannot see the invasion. Every home has mold: our goal is to reduce the amount of mold spores in your home to lowest level and make your home healthy. 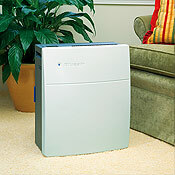 Using allergy air purifiers clean the air of mold spores through use of HEPA filtration. Allergy air purifiers are an absolute necessity to kill mold, viruses, bacteria in the air. Allergy air purifiers provide superior results, & provide fresh air to your family. Babies and small children require clean air to avoid especially mold and other contaminants that can damage the fragile lungs. Now, why would you not want to have an allergy air purifier cleaning the air of mold, germs, bacteria and more?